Tesselator is a remeshing addon that helps you create regular quad and triangle meshes easily out of sculpts. It can create pure quads, pure triangles and quad-dominant meshes with high control over the flow. 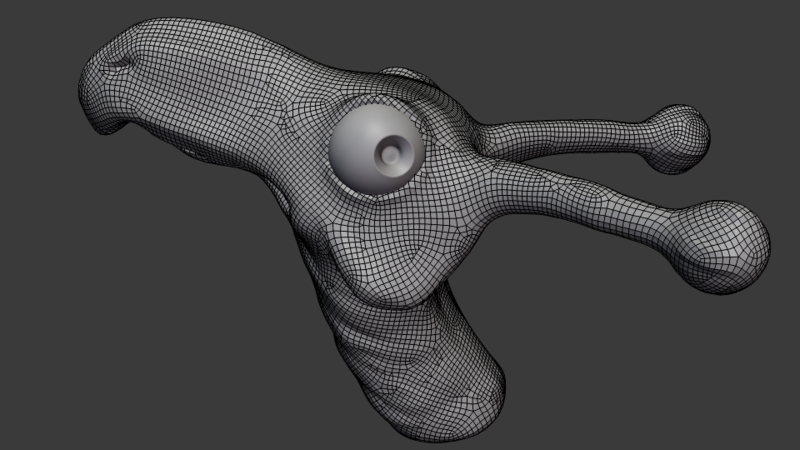 Although it's not exact, it performs pretty well for simple models and can create good looking topology. There's a new version of Tesselator currently being developed for blender 2.8. its called creatively as Tesselator 1.28. It currently has better features and topology and It is already available. The new Tesselator will have support for masking density, sharp features and a. improved triangle mode. There's no documentation on its settings yet but here's a sneak peak of what its capable of. Read the documentation for details on the old tesselator 1.0. Since this remesher is fairly intuitive and easy to understand, I will briefly present the settings for it. It's the only button from the panel, you click it and it start remeshing. This setting control how many particles fit on the object. 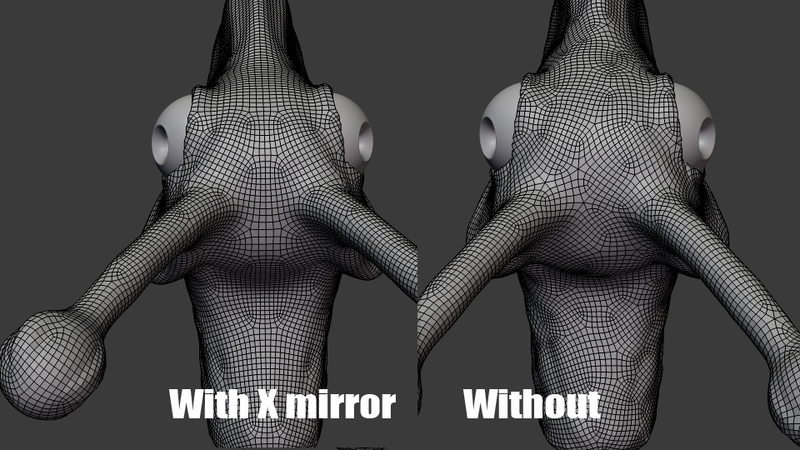 It affects directly the quality of the mesh but doesn't mean higher is better, with low resolution and higher subdivisions it yields smoother meshes but with bad alignment while with higher resolution and low subdivision introduces good alignment but also creates more wedges and poles on the topology, if you play around with these settings you'll get the intuition of how it works. This setting tries to improve the alignment where possible, it's quite literally a smoothing procedure. As the name suggest, this setting control how dense and detailed the final mesh will be, It is directly related to the resolution and just subdivide the mesh as many times you want. It Is like the usual X-mirror from blender, it forces symmetry around the red X-Axis. This addon also has the ability to control the flow of the mesh though grease, pencil. Just set it to surface and draw the guides on the mesh. If no grease pencil is available, this setting does nothing. If this setting is enabled, the final mesh will be made entirely with triangles, all the settings above still affect the flow though. This is only available if pure triangles ins't enabled, it will force the use of triangles along with quads when subdividing. 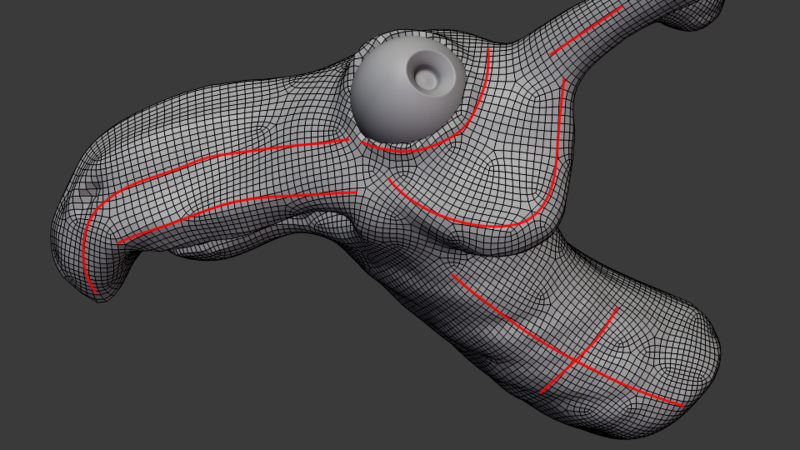 Which creates a more uniform tension on the mesh, good for sculpting. Those settings are quite unstable, is recommended to not mess with them unless you know what you are doing. Predecimation: The cross field computation is a slow operation for this addon, decimating the model before computing, helps the process run faster, if your model is lowpoly, you can increase this value, but if it's too dense, you might want to decrease it, for example, a source model with 5.000 faces can have a predecimation of 1.0 while a mesh with 300.000 faces might need a value of 0.05. Step scale: This factor affect how the fast relaxation converges, it just control how fast the particles move at each step, a value of 0.2 means that the particle will move 20% of its radius at each step for example. Adaptive: This affects the density of the mesh on detailed regions, a high value make curved regions denser and flat regions sparse in terms of vertices. Particle Placement: This option sets which algorithm is used to place the particles on the mesh, Fast marching is really good at getting good flow but sometimes get stuck on sharp edges while integer grid doesn't give good alignment but is very uniform. If Fast marching is enabled there will be available an option called seeds, it controls how many starting points will be randomly placed if no grease pencil is available. How reliable is this addon, will it work always? It doesnt work always, as any algorithm has a weak point this has too. * Spikes: and thin rods: Small spikes or small cilindricall features like branches on a tree will be lost if your resolution is not high enough. 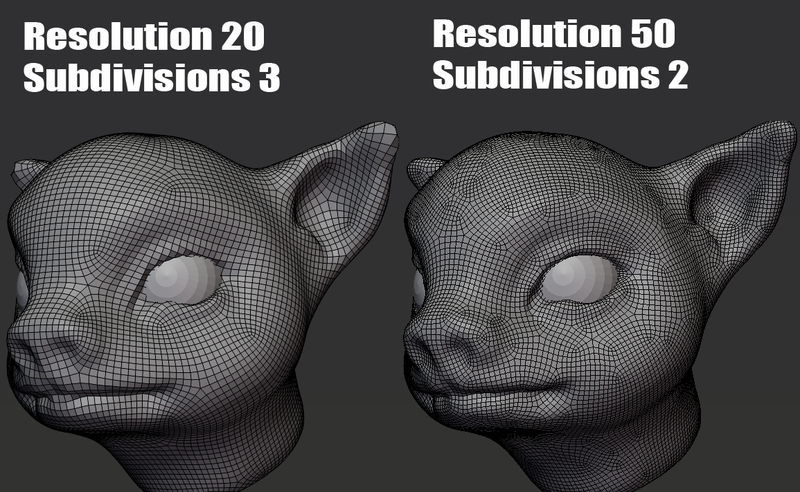 generally is some cases these features are just too small to consider putting the resolution that high, this addon works better with round and fat shapes rather than sharp and complex. 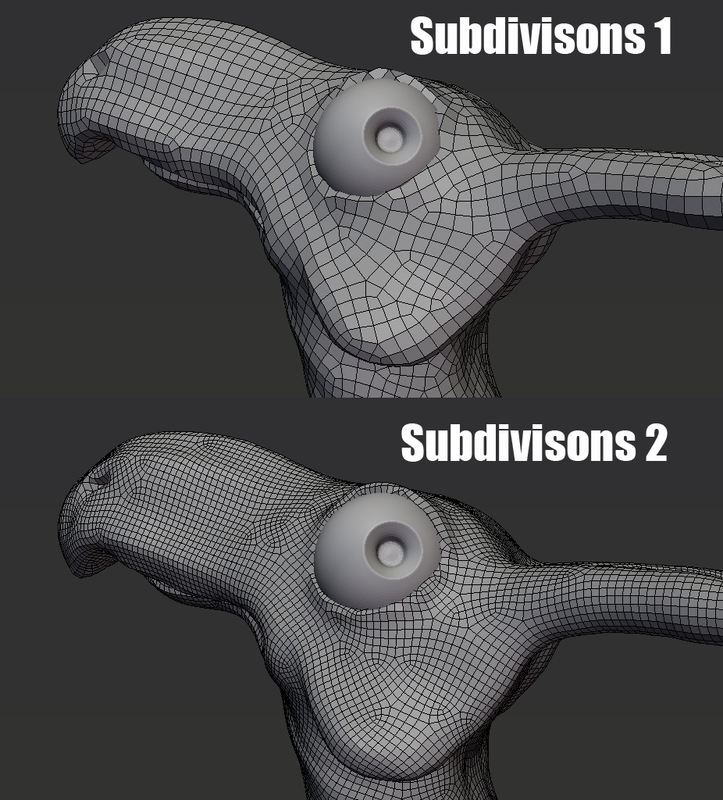 *Low resolution meshes: if your source mesh is too low poly the solver will not be able to compute the aproximate voronoi diagram that is used to connect the final vertices, but you can solve this by ssubdividing the mesh. *Animated characters: At the risk of sounding repetitive... 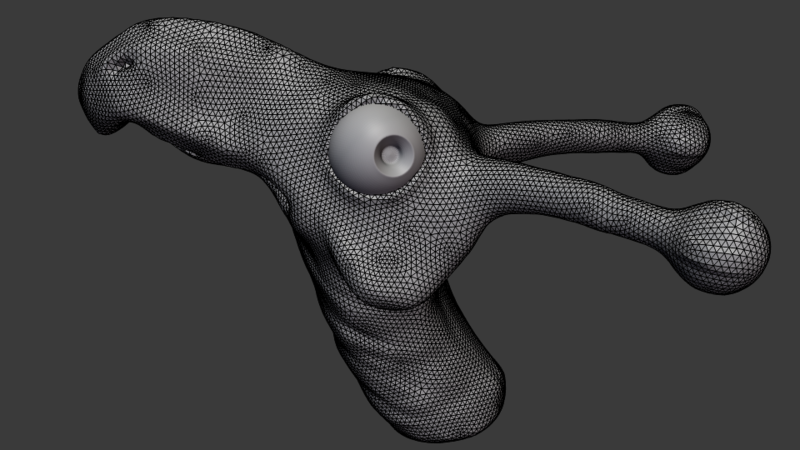 There's no such thing as Auto-Retopology This remesher wont create meshes good enough for animation if you want a good tool for Retopology I recomend retopoflow or even the built-in tools in blender because it should be hand-made. How do I install this addon? Simple!, open user preferences > go to addons tab> click in Install from file> find the zip file> and click install. Will appear a checkbox with the addon name, now just enable it and save the user preferences. This item has an average rating of 4 from 10 ratings by the community. Works really fast and great, even with low specs computers ! Sometime Blender may seem frozen but it's just calculating its things, don't panic unless you get an error box. 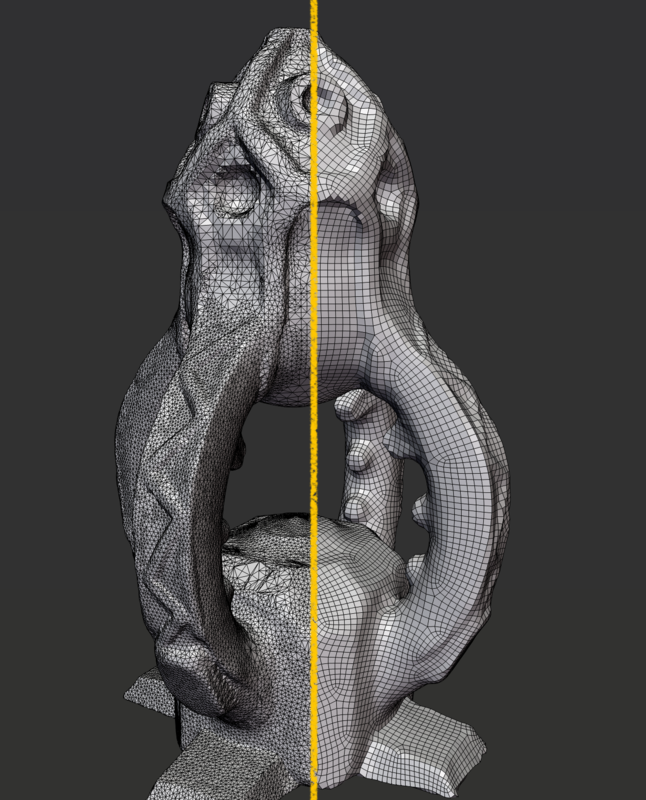 I used it on a sculpt that I didn't want to hand remesh, and it actually did a better job than me so I just started making a whole new sculpt with this tool aside. It gives me back into the creative mood cause now I can just not worry about remesh(ing?) !! If you get trouble using it, just take some time to experiment on cubes and spheres (or even monkeys but that's up to you), you'll quickly learn how to tweak options to your needs ! Works great (Tested with Blender 2.8)! It's bloody awesome! Absolutely adore it. It's already works perfectly with 2.8 and making my workflow soooooo much faster, especially for quick bits. You have to tweak the resolution sometimes, read the FAQ and the documentation for details. It has a very interesting options in the settings and I really like the symmetry option. Works very nice! i'm happy to know you like it. Seems to be both fast and useable in a lot of workflows. For my purposes its an absolute godsend. Cool, I was uncertain if it could be only fast on my computer for some reason, nice to see that it seems to work fast on most computers.